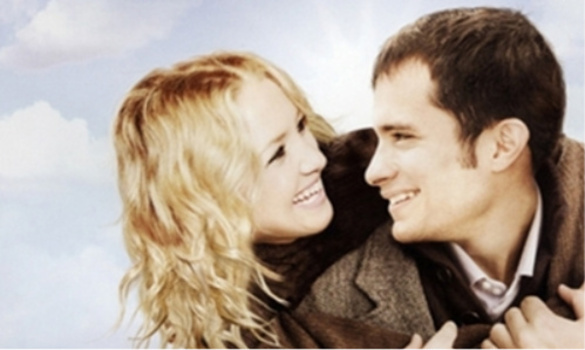 Marley Corbett, a sassy beauty from New Orleans, played by Kate Hudson, gets diagnosed with late stage colon cancer. Even before her textured story unravels, it gets told, at least partially, through her telltale name. She is irreverent, spirited and carefree, like the famed reggae Rasta whose patronymic she borrows her first name from. On the other hand, her surname evokes the image of an orderly, affluent American family, just like the one she hails from. Her father, Jack (Treat Williams), is a taciturn businessman who lacks compassion and her mother, Beverly (Kathy Bates), is a loquacious and portly housewife. Marley lives on the edge, dividing her time up between a successful advertising career, a gay male roomie, a beloved bulldog, a close circle of friends and a party girl lifestyle. However, her life in the fast lane comes to a screeching halt when she turns increasingly pale. Sarah (Lucy Punch), her BFF, advises her to go for a medical checkup. She obliges. Marley finds herself getting treated by Dr. Julian Bernstein (Gael Garcia Bernal), a Jewish Mexican heartthrob. She later slips into a drug-induced nap and dreams up an encounter with God (Whoopi Goldberg) - who takes Goldberg’s form because she is Marley’s favorite personality. Marley learns that she is dying and is granted three wishes. She wishes for a chance to fly and a million dollars (taxed) but stumbles on the third wish, uncertain of any other desire. God-as-Whoopi-Goldberg informs her that she does know what she wants, only that she does not know it yet. A short while after this encounter, Dr. Bernstein delivers the grim tidings personally. Her life post-diagnosis slowly revolves into a carousel ride of spectral emotions. Initially, she reacts to her predicament with her usual wry humour. This is epitomised by an excruciating scene where she casually slips news of her condition into a merry dinner conversation with her friends. She even finds the mettle and energy to pursue her doctor’s affections. Originally, Julian invokes the sacrosanctity of professional detachment, however, Marley’s persistent charm eventually wins him over. As the bond between them grows, the cynical Marley realises that she is actually in love, and to this humourless yo-yo hobbyist of all people. One suspects that a true love might have been her undisclosed third wish. As her time wears thin and her defences fall, she is forced to confront the distressing reality of her condition. Thereafter begins a painfully honest and introspective journey into her relationships with those that she will soon leave behind. Directress Nicole Kassell comes into her sophomore picture as a relative unknown in the American film industry. Her debut feature, The Woodsman, was released publically back in ’04 to critical acclaim. She has also adapted Arthur Miller’s play The Ride Down St. Morgan and helmed a few episodes of Cold Case and 3 lbs. In her second major outing, Kassell shows unfulfilled promise as A Little Bit of Heaven winds up being a mixed affair. To start off with, her film’s main strength lies in its emotional complexity. No, seriously. Whilst it undoubtedly lacks the reified poignancy of Denys Arcand’s masterly The Barbarian Invasions, the film does surprise with its deft displays of emotional insulation and its sudden surges of wrathful outrage. Kate Hudson offers a thespian masterclass in her portrayal of Marley’s emotional trajectory. It is almost unbearably painful at times to watch Marley lash out at those closest to her when we secretly know that she lacks the bravery to convey just how much she needs them. Such is Hudson’s prismatic performance that even when she hurls bizarre gibes of inarticulate malice at her loved ones, the audience can only feel for and love Marley even more. Kassell does a fine job of drawing the audience into Marley’s personal world. We observe the beautiful subtleties that define her friendships and the great sacrificial lengths to which her friends will hide their pain from her. Were it not for its emotional propulsion, Kassell’s film would be a spent vehicle. This inertia is epitomised through her uninspired portrayal of Marley and Julian’s relationship. Her portrayal is shallow at best and fanciful at worst. The theme of their relationship is humour – an awkward choice for a romance between a dying patient and an unfunny doctor. It all begins when Julian offers to put Marley at ease by telling her a joke. Marley hypes it up and so Julian reneges, overawed by the occasion. In their next meeting, Julian relates a funny joke that he’d heard earlier that night but muffs the delivery completely. Julian keeps trying to improve his joke telling in virtually every encounter they have afterward. In such ways, the film gets in way over its head as its comic message gets lost in the commotion of its own “cleverness”. Julian’s jokes are never funny and neither are Marley’s. The tone of the film becomes confusing as one is left uncertain as to whether the film is meant to be ironically funny if at all. Julian’s inability to deliver his humorous jokes thus images Kassell’s direction in this film rather perfectly. Even when Marley explicitly draws on gallows humour in putting the “fun” into “funeral” by planning it as some festive celebration, there is a conceptual and tonal awkwardness to the comedy that the film never recovers from. The choice of New Orleans as the story’s symbolic setting is painfully patronising, with its soulful spaces ill wed to the film’s pervasive shallowness. The film’s symbols, in general, are a tad obvious – a terminally-ill patient who was successful at advertising, “a little bit of heaven” being the nickname for a dwarfish gigolo that she misjudged based on appearances and the feel-good queen herself, Whoopi Goldberg, reigning as the God of Kassell’s microcosm. Duh. However, for what it is, A Little Bit of Heaven is a terribly moving film pitched to the audience’s sympathies. And it works a lacrimal treat.